Reach our inspired audience of salty jobseekers. Choose a package to post your marine job opportunity & join SaltyJobs. Promote your events, courses, offers etc. Post voluntary opportunities, events etc. Join top employers across the marine industry and become a SaltyJobs member now. Post your job with SaltyJobs to reach a highly targeted audience looking for work in the marine industry. We work with top employers, from Spirit Yachts to National Historic Ships UK, inspiring people to work ashore and at sea. Post a job or take out an Employer Membership to reach our audience today and become part of our salty community. Choose your package and get in touch. We’ll set everything up for you, including your Employer Login and publishing your job for you. We’ll send you a preview of your job before it goes live, after optimising it for our targeted audience. You can login to your Employer Dashboard to view your applications at any time. Our unique insight naturally attracts an engaged audience. With a passion for boats and background in digital marketing strategy, we create fresh content to promote opportunities. We can share articles, blogs, emails and photo features alongside your jobs to tell the whole story. Talk to us about creating extra content. Jobs posted recently have reached around 15,000 unique users. Applications are quality over quantity, leaving you with a strong selection to choose from. Read about our recent success story, helping Tall Ship Kaskelot recruit for a deckhand at short notice. Within 24 hours we received many strong applications and the role was filled. 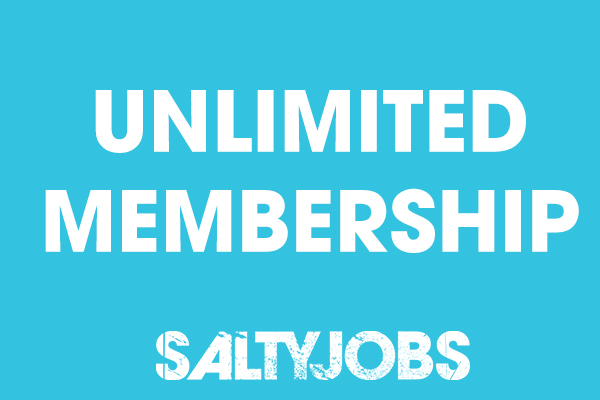 Buy a SaltyJobs membership and receive up to 10 free SaltyJobs wristbands for your salty crew, employees, colleagues and friends. Want to chat with us first? Send us a message or give us a call. +44 (0) 1273 251751. We've answered some of the most common questions in our Employer FAQs. Read them here. If you have an exciting opportunity in the marine industry to recruit for, get in touch with us. Send SaltyJobs details of the role you’re offering, and we can help tailor a job listing to attract the best of our passionate audience of marine industry jobseekers. 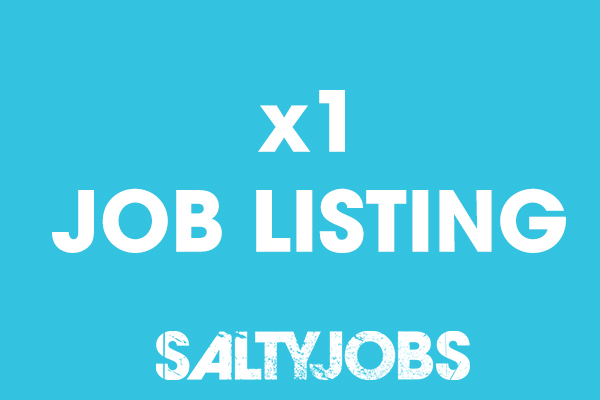 Include as much or as little information as you’d like at this stage – we’ll have a chat about how we can help you and get your job posted on SaltyJobs. If you’d prefer, you can call Eleanor on +44 (0) 1273 251751.